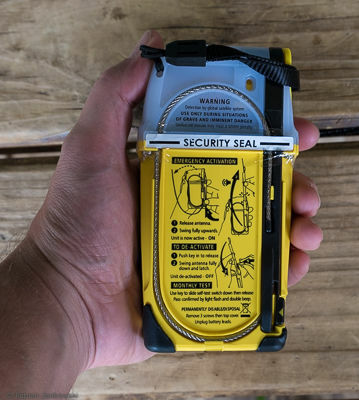 Why carry a personal locator beacon while outdoors? Personal locator beacons (PLBs) are satellite devices that transmit a distress signal to search and rescue organisations once they are activated. Because they transmit the signal via satellites, they can be used in remote locations, where no cell phone access is available. Here I explain how they operate and why they are important to have in remote wilderness areas. The back of a PLB that I hired some time ago. The text describes its activation in detail. 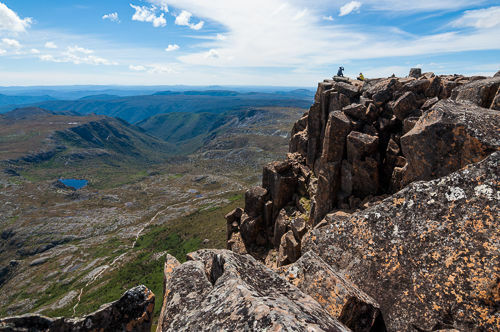 In early 2015, I organised a bushwalking trip to Frenchmans Cap, which is the most prominent peak in the Franklin-Gordon Wild Rivers national park in Tasmania. The white quartzite of its summit dome, which looks a bit like a French beret from a distance gave the peak its name and is visible from far away. Our group on the summit of Frenchmans Cap. You can see the smoke from bushfires in the distance. In 2014, I spent a few weeks in Alberta, Canada, specifically in and around Banff national park. We scrambled and hiked up various peaks near Banff town, such as Tunnel Mountain, Mt. Rundle and a few others in the close vicinity. Later I visited Mt. Assiniboine on a longer trip. View of the Assiniboine Valley. From left to right: Lake Magog, Mt. 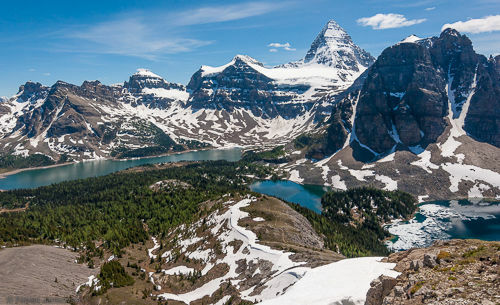 Assiniboine, Sunburst Lake, Sunburst Peak and Cerulean Lake. I walked the Overland Track, which is a pretty famous long distance hiking trail in Tasmania, Australia. This is a summary of the 8 days, in which I walked 131 km and covered nearly 160 km in total.